Join the discussion on the “Function of Music”. 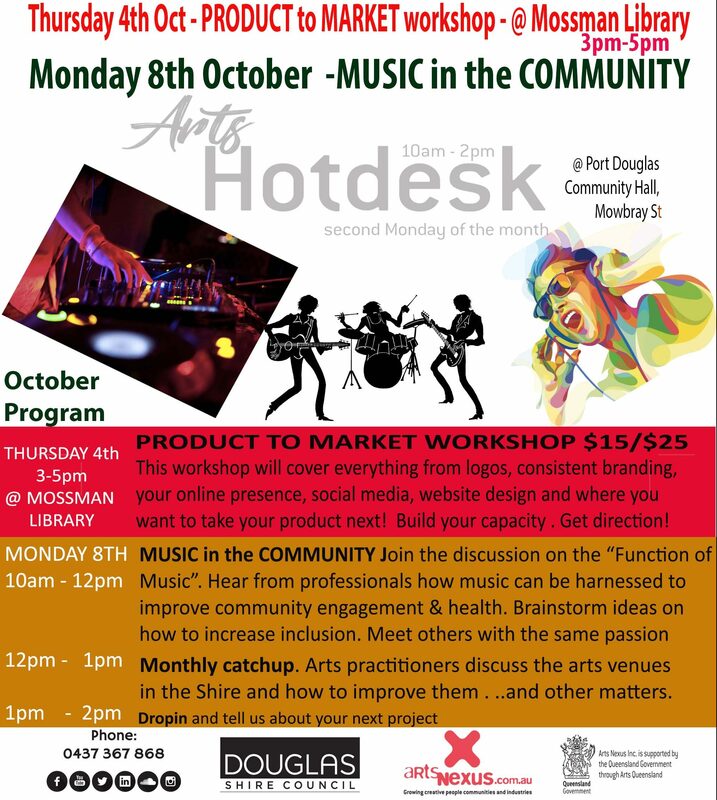 Hear from professionals on how music can be harnessed to imporve community engagement and health. Monthly CatchUP. Arts practitioners discuss the arts venues in the Shire and how to improve them. Open Desk – Drop in and see what’s up!